I went to a good presentation on twitter tags in January by Kym Raines. She showed us how to identify has tags that are popular using #HashTagBattle. The idea is that if you use the hashtag that more people use, the more your tweet can show up in people’s twitter searches (yes, some people search by hashtags). So I looked into it because a lurker like me should make the most out of the few tweets I make. I found that HashTagBattle uses a search engine called Topsy. 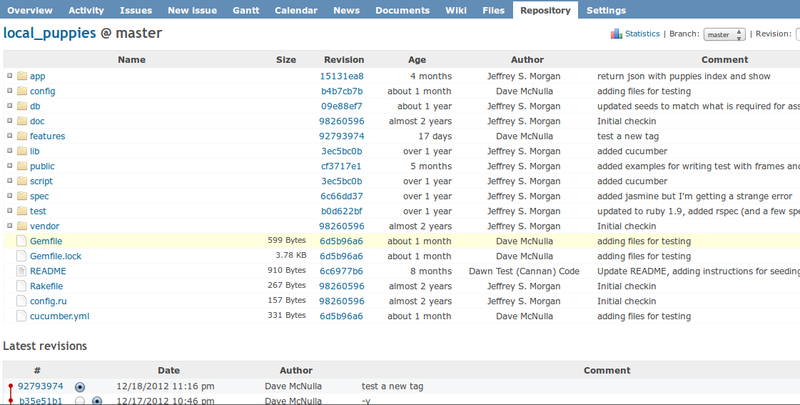 Just for fun, I created a script to capture the popularity of the tags I use in this blog. list = """ all the tags scraped out of my blog """
Note: When I scraped them, I removed the spaces from between words as is typical of twitter hash tags. This entry was posted in Uncategorized on 08-Feb-2013 by dmcnulla. Tickets for the Test Automation Bazaar in Austin Texas are still available. These guys didn’t write the book on test automation, they created the tools! There is no place to learn more about the latest technologies and good practices in test automation. Contact me before Wednesday for a significant discount. I spend a lot of time talking about the benefits of automating tests – automated checks as explained by Michael Bolton. I call them automated tests out of habit (and clarity to the uninitiated). Part of the responsibility of teaching this subject is teaching people to follow good practices. Almost all of these practices I lifted from somebody else. Why do I like automated tests? Because I want to reduce the time between when a problem is introduced and when it is reported to the person that introduced the problem. Some time in history, man measured the cost of fixing defects and it was more expensive the longer it went unnoticed. This is a generalization but I take it seriously because my job is to help people make good products. My value is in the reduction of costs and increase in benefit I create for the pay I receive. When I do that more effectively, my value increases. Since I work in the computer software business, I ought to be using technology to reach those ends. I have heard about the automated testing pyramid from several people and read on many blogs such as Michael Cohn’s – I don’t know who originated the idea, but I heard about it from Janet Gregory when she trained my team at HP. If all of the tests for a product are through the graphical user interface, then there’s a lot that isn’t getting tested, the tests will tend to be at a higher cost to maintain because interfaces tend to be change more than the classes and services, and they will be found later in the product cycle as the GUI tests tend to require all of the product layers are built (regardless of the order they are created). James Bach recently wrote a blog post on the skill required to create scripted tests. The lesson I received was that scripting tests to the point they become checks is high even if people are running the. The investment goes even higher when the interpreter is a computer program because the instruction needs to be so much more precise. The return is lower because the interpreter only sees what it is told to see. Then where is the value? Automating the activities that cost less to automate than to perform manually. Consider partial automation as a great alternative to the automate/manual question. Navigation to the location of the test – this could be opening web pages, logging in, and going to a certain web page. I recently wrote a blog post on using Interactive Ruby to support manual testing with automation which may help you see the automation and manual thought process marry. One more thing to consider: do not automate tests that will not be run repeatedly. Do not even script them. Keep notes on what was done just in case you need to do some forensic analysis. Just don’t automate them! The first mistake I ever made in automated tests was to think I automated a test by creating the automated navigation. Without some criteria to know if the test passed, the “result” is useless. I like to know which tests failed separately from which did not complete. If the problem is not what you are testing for, it’s an exception. When the test fails, somebody has to figure out if there is a failure in the product, if the product changed without a like change in the tests, or if there is a failure in the tests (presumably, a good practice was not followed). Assuming there is a failure in the product, a defect that will be fixed or not fixed – it is a known problem. In the case of the incomplete test, the problem is unknown because we haven’t actually seen what happens when we get to the end – you probably do not know if the test would pass or not. The first thing I got right when I started automating tests was to create layers. In fact, I was so sure that it the only possibility for being successful that I was shocked to hear Dorothy Graham talk about the idea in Lightning Strikes the Keynote at StarWest 2010 (as if it were a new idea). Maybe some automation tools make this separation so difficult that some people don’t do it. The best way to describe this is to separate the what from the how. The what should be your test cases (like general instructions for a manual tester). The how should be your test framework (classes and methods). The what should be the business logic that needs to be tested (or the workflow, or whatever). The how should be the specific instructions for dealing with the interface (click this, fill in that). The what is your customers actions. The how is the implementation of your interface that supports what the customer wants to do. The purpose is to simplify maintenance when the product creators (dev team in my case) changes the how. We often do not see that separation in step-by-step manual test scripts (also called checks by the experts). If we change the submit form action from clicking a button to a gesture (such as a Be-Witched nose wiggle), there is one place to change the code so that all tests incorporating that form submission will work. I have seen the separation in many different ways and levels. In some cases, the framework supported domain specific actions (log in, set field, submit form). In other cases, the framework supported transactions (create account, update profile, purchase subscription). I like the idea of separating each test from the others. Not because I care how many test cases exist but because I want separation of failing and passing results. I do not find value in doing and checking 10 things if they all pass or they all fail because one check failed. This also means to go straight to the tested functionality. Did you want to test the navigation? Do that in another test. What about an end-to-end test? For example, suppose you want to test creating an order, fulfilling the order, charging a credit card, and notification of completion? If it’s a straight through “complete” use case, then you are testing one thing. The second timing consideration is dependence on something happening that we don’t know when it’s going to happen. Suppose I create a situation that will trigger a notification when the notification scheduler runs but I don’t know exactly when it will run. I can either help it along will triggering the notification scheduler manually or … consider not doing that test. Nobody wants the automated tests hung up for 35 minutes. In a previous job that I had, the product under test came with a sample database. I found that it was often used to support manual tests. The problem with the assumption that the sample data will be there to support the test is that other tests could change or remove the data. Manual testers will make the adjustment by creating the data at that point. An automated test will… stop. When we converting the manual tests into automated tests, one of the first features we added to the framework was to allow us to create the data needed to support the test. In that case, we used web services calls. A long time ago I worked on a system that had almost no data to support my tests. I would spend an hour creating data through the web interface. I hope that nobody does what I did, not even with a web automation tool. I solved that problem by learning how to import xml files with the data needed to support my tests. Since then, I have used api’s (including web services api’s) and sql scripts to inject data. Use the most reliable way possible. “A job isn’t finished until you have cleaned up after yourself” said my father. I say the same thing about testing. For the sake of other tests that will run after yours, you may consider cleaning up. I spend years learning about these practices. Sometimes I learned the hard way, other times I was fortunate enough to learn them from a seasoned professional. I did not want to call this best practices because that would assume I know the context. There are so many situations that I could not know the best practice for each of them. Consider each of them with the help of your team before making a decision. If the others that depend on the test results understand these practices, they can often make implementing the practices much easier. In addition to the ones already in the post, I would like to recognize my co-workers Jean-Philippe Boucharlat and David C. Cooper, whom I worked with at Hewlett-Packard, for sharing their insights to automation best practices. I have updated the original post to improve the article from the feedback of the kind readers. This entry was posted in Defect detection, Programming, Quality Practices, Ruby, Technical Debt, Test Automation, Uncategorized on 28-Jan-2012 by dmcnulla.